Welcome! 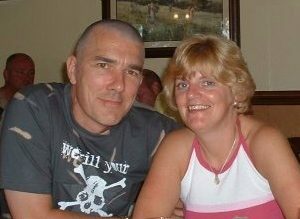 We are Steve and Angela, a former policeman and nurse, married for 11 years, and we own The Apartments, Coniston. We’ve been enjoying the Lakes for years and we’ve always had a dream to live near Coniston so when the opportunity to buy The Apartments came up we couldn’t resist. Over the years we’ve become experts in apartments and cottages in the Lake District and somehow we just couldn’t find what we were looking for a lot of the time – a clean, spacious, contemporary place with a bit of luxury where we could self cater for a weekend or a few days where we could bring friends (and the dog) and where we could relax after a hard day’s walking somewhere that felt like a home from home. So with that in mind, we’ve set out to create just that in the form of The Apartments, Coniston. It’s a place where you can bring yourselves and the car, the kids or some friends and you can use it as a base from which to explore the Lakes, and then unwind at the end of the day. Apartments 3 and 5 now have full central heating installed and Apartments 2 and 4 will follow by the end of this year, replacing the current system. Each Apartment has a modern kitchen set up for self catering, great dining areas with fabulous views, fresh sheets and towels and lots of hot water! You can curl up on one of the 2 sofas and read or enjoy dinner with friends – it’s up to you and there’s an apartment to suit various group sizes, from two to six people. We live at The Apartments and we’re alway on hand to help, either with advice about how to enjoy the Lakes, or with anything that you need to make your stay a bit more comfortable. Whether it’s walking, cycling, playing golf, eating out or finding an interesting arts and crafts course, we’ve spent years exploring the area and doing all the fun and interesting things to be found here so just ask if you want some top tips for your stay! You are welcome to make supermarket orders for delivery the day that you arrive and we can happily fill the fridge for you, or we can recommend any number of fabulous Lake District restaurants for you to enjoy. If you have any questions about The Apartments please don’t hesitate to contact us. We’ll look forward to welcoming you soon.